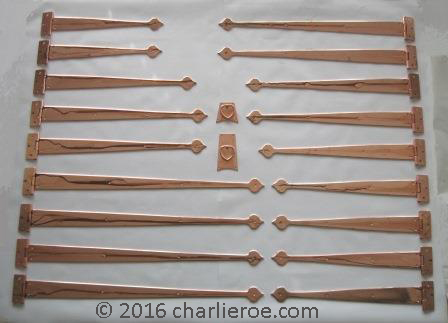 Every so often we do another set of Voysey strap hinges & handles, in various finishes. Whilst expensive to do they really add the wow factor to any piece they're used on, from furniture to kitchen doors. 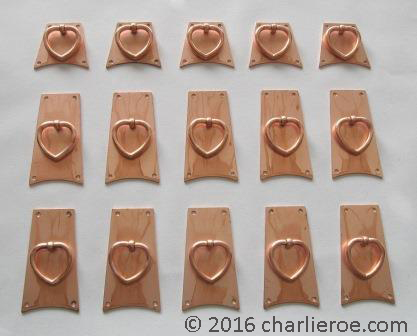 The handles were designed to use Voysey's leitmotif, the heart, for the pulls. The sides were tapered, something Voysey did alot, from house buttresses to letteropeners. The bottom arc is another design element Voysey used everywhere. 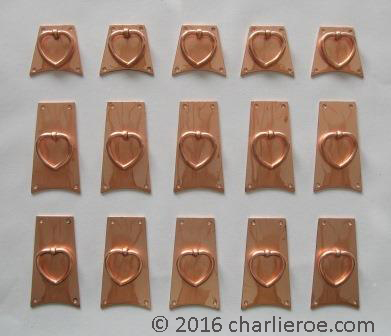 We have shown the handles in steel & copper finishes (but could be done in brass as well). 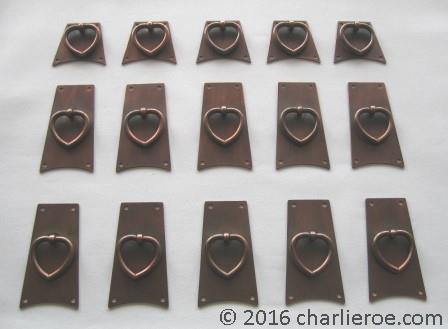 Even though bright copper can look great, not everyone appreciates it, so it is usually patinated to give an aged finish. Hand made to order. 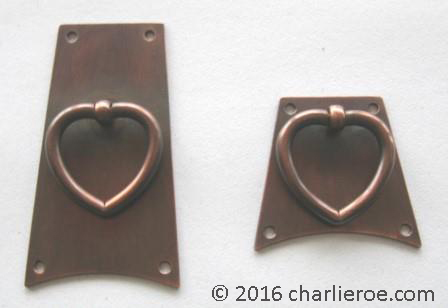 The above 2 photos show the copper handles after been patinated to give an aged copper finish. 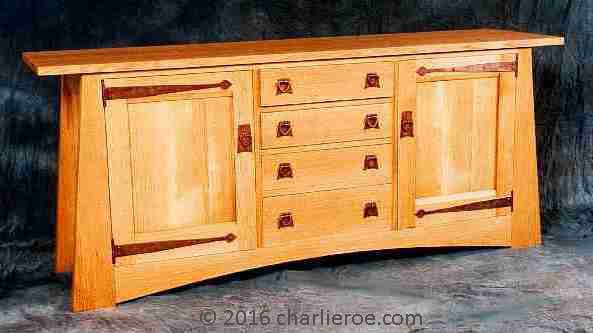 The sideboard above left shows how beautiful these fittings can look on oak furniture. Click on the photo to see this furniture range. 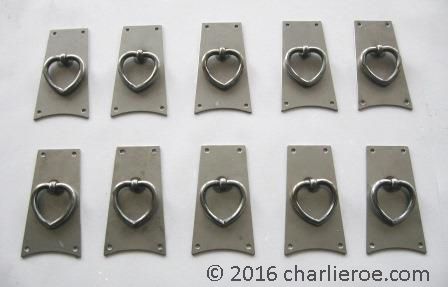 The photo above right shows the matching strap hinges that go with this range. Click on the photo to see more information. 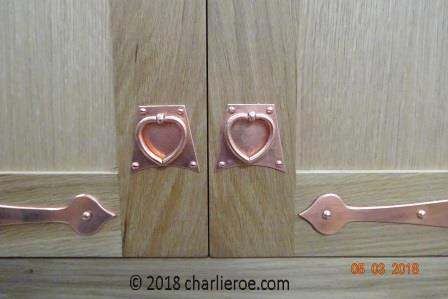 Bright copper finished heart shaped handles and strap hinges can look great on pale oak woodwork.